The jungle drums drew us north to investigate rumours of a soil caarbon trading scheme in the Deep North, which is where we discovered the Townsville Carbon Exchange. Details yet are sketchy. 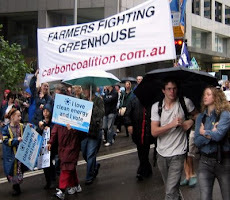 But the full story will be told at the 2008 CARBON FARMING EXPO & CONFERENCE IN ORANGE 18th-19th November. A plan to position Townsville as a carbon neutral capital in regional Australia includes the creation of a Townsville Carbon Exchange to tap into the potential $1 billion carbon trading industry in northern Australia under a National Carbon Trading Scheme. Mayor Cr Les Tyrell said members of the special working group set up to develop the proposal Carbon Townsville include representatives of the Townsville City Council, TEL, Burdekin Shire Council, private enterprise, and the community. 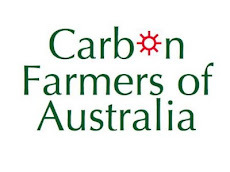 "Carbon Townsville is proposing a community-based enterprise through which industry and the community can generate and trade carbon credits generated by the large scale use of carbon abatement measures. These include soil carbon sequestration in local council parks and gardens and the north's extensive agricultural industries, as well as energy efficient practices and uses of renewable energy in business and industry," saysthe Council. " Revenue generated through the Townsville Carbon Exchange will provide on-going funding for sustainability projects in the region." Andrew McEwen, Economic Development Manager, City of Townsville says: "Townsville Carbon Exchange (TCX) is a community based, regionally focused, economically significant carbon exchange venture that will provide wholesale carbon credits to the Australian National Climate Exchange which will be registered on the National Environment Register. TCX is a carbon exchange model in that it works with local industry to develop carbon abatement capacity through various projects. TCX will also support local community groups through grants funding and provide the region with significant sustainability based industry opportunities. 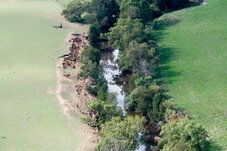 The collaborative partnership between Townsville Carbon and the Townsville Carbon Exchange is already sequestering carbon through biological methods on farming land and council parklands. The area covering will grow from 10,000 hectares to 100,000 hectares in 12 months with the carbon sequestered valued at current prices at $100m. The plan will see this grow to over $1B in 3-5 years. 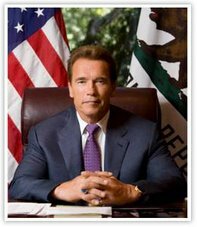 Carbon trading will insulate the NQ Region from the impacts of emission trading and lay the basis for sustainable agriculture." sequestration can be calculated and farmers financially rewarded for their involvement in the project. TCX has developed processes that enhance soil carbon sequestration and tools for the ongoing measurement of the amount of carbon units stored. Farmers joining the TCX Soil Carbon program will sign a contract requiring them to use soil conditioning products and follow an application method that has a track record of successful soil improvement and carbon enrichment while providing better soil structure, water holding capacity and soil health. Farmers who sign the agreement and follow the recommended use of these products will be eligible to claim TCX carbon credits against the sequestration of carbon in their soils. The total soil carbon from a farm following the TCX process is estimated to increase by approximately 1% over a two year term. This calculates to a total increase in the volume of soil carbon in the top 15 centimetres at 15 tonnes of carbon per hectare. 15 tonnes of sequestered carbon is equal to 55 tonnes of CO2 equivalent (CO2e). The farmer is paid for the sequestered carbon minus the brokerage fee – part of which isredistributed to community groups via a grants program. Carbon credits are sold by TCX to financial markets. 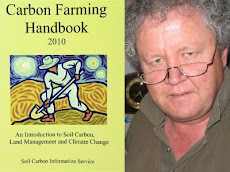 The introductory price for the soil carbon will be $7.50 per tonne CO2e or about $412 per hectare. A portion of the payment is made at the point of initial sale of the credits and the balance upon the successful completion of the contract term (2 years). At the end of two years a final measurement is taken and the farmer or land holder is paid for additional carbon sequestered above the estimated 1% increase."